After intimate partners have been together for a while, they affect each other in more and more ways. Those mutual responses show up in several ways. Sometimes they react to experiences that come directly from what is happening between them in the relationship. At other times, something that happens between them triggers memories from the past and may have little to do with their current relationship. Most often, it is a combination of the two. It is never easy for anyone to fully understand another’s internal world. There are multiple memories that drive people’s feelings, thoughts, or needs. It is crucial that both partners do not assume they have experienced life the same way. No matter how angry, hurt, frustrated, upset, irritated, or disappointed either partner gets, people who treasure each other don’t use their partner’s vulnerabilities irresponsibly. They also know what touches the heart, what soothes the soul, and what inspires the mind of the other. At any one time, all relationships have access to resources from which to nurture and support each other. They can choose to allocate when they will be available, how much energy they want to put into any interaction, whether or not they want to offer support, and how present they will be when they attend. When either partner is overloaded or unable to carry his or her fair share of the current load, the other partner willingly steps up to help without questioning the need. Devoted partners don’t keep score or worry that they might be taken advantage of if they have to give more in certain situations. They accept that there will be unexpected challenges that require more commitment and are ready to do that when necessary. 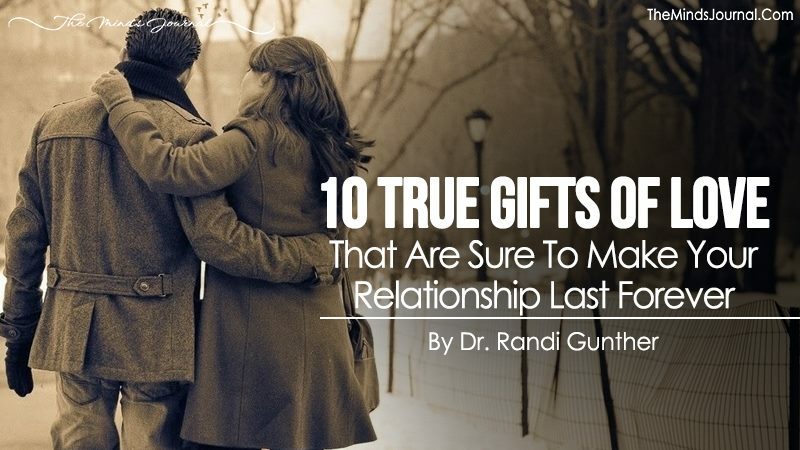 Even the most loving of couples can forget to encourage their partner’s separate paths to fulfillment. New lovers willingly push aside their individual goals in order to concentrate on those that are mutual. They understandably want their lives to intertwine and to grow stronger as a unit and do not mind sacrificing personal dreams when necessary to make that happen. Whatever happens in life, no one who escapes sorrow. Though some have suffered more than others, everyone has had experiences of terrifying vulnerability, moments of humiliation, and anguishing loss.